You are getting familiar with binary options more and more now and you are aware that binary options are getting in popularity over the past 2 years. Let us take a look at what is the difference between Forex and binary options. This way you can evaluate which is better for trading and starting more easily. Foreign Exchange or short as you know it, Forex is one of most profitable markets because of the daily liquidity in it. It is so popular because it helps traders around the world to do currency trade and big percentage of this daily turnover is done by trading Forex online which is increasing in popularity. When you start with trading Forex you speculate that value of certain currency will have higher or lower price compared to another. For example if you have a currency pair of USD/JPY at 1.28010 and you speculate that it will decrease in near future. You buy 100 of USD/JPY and wait till it you have determined to close the trade and profit from it – that is an easy example but you got the point! Now on the other hand we have binary options which is new and more simple version; that is why it is more appealing to people then Forex is – simplicity is the key! 1. Forex trading is much more professional environment and does not allow you any mistakes that is why more then 90% of the traders fail and lose money in Forex market. When on the other hand binary options are more simple and easily understandable for people that are new to the whole thing. 2. With binary options you have predefined profit and it can be even up to 90% in rare cases the profit can go up to 400%. With Forex you are your own judge and there is no predefined values because you can open and close trade at any time you desire and as well the profits can be as well higher but it much more riskier. 3. Binary options are more safe when it comes to trading because you already know at the start how much you can lose or profit and also if you lose you can get some back because of the safety refunds that brokers are offering you. There is no such thing in Forex, when you lose, you just lose. 4. Binary options gives you more assets to trade with then in Forex which means you are not limited only to currencies but you can make predictions in stocks, indices and commodities as well. Now as we have seen most visible differences you should also read what differences are between Forex and binary options as in trading experience and trading as it is. Binary Options: When you trade binary options, the margin is not used. Since there are very good returns of up to 90% or even more they are very attractive deal. Forex: When trading Forex you will never know what profit exactly you can make out of each trade. You can put stop limits just to be on safe side of the trade and that is what can be done in Forex to stop losses. Binary Options: Here you have already predefined closing position based on time frame. Forex: You have different types of orders, the main one is buy/sell and here are others: Limit, Stop, Trailing Stop and others. Binary Options: Because of the popularity the brokers have added other types as well, beside classic up/down you also have: 60 Seconds Options, Touch/No Touch, Boundary and some others. Forex: You need to take in consideration the spread and also commission. Binary Options: Nothing like the above in binary options. 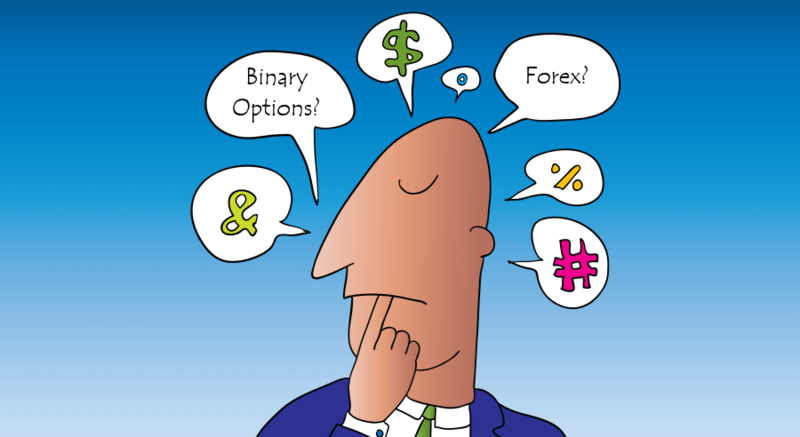 These are main differences between Forex and binary options. As you can see the binary options are more fun and easy to understand and to start making money with. But you have to choose the right broker for that, that is way you need to read the reviews and select the right one.